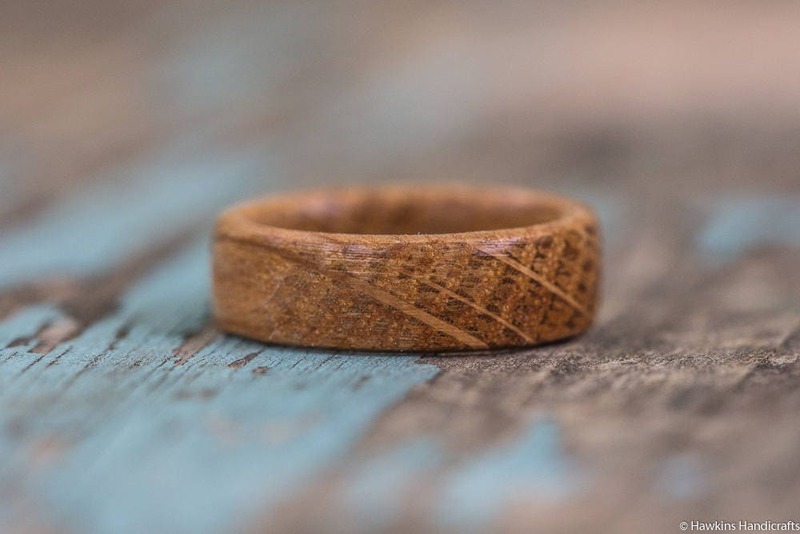 This is a hand-turned oak wood ring cut from used Jim Beam bourbon barrels, custom made to your specifications - choose the size, width, and shape from the options to create your own handmade ring! 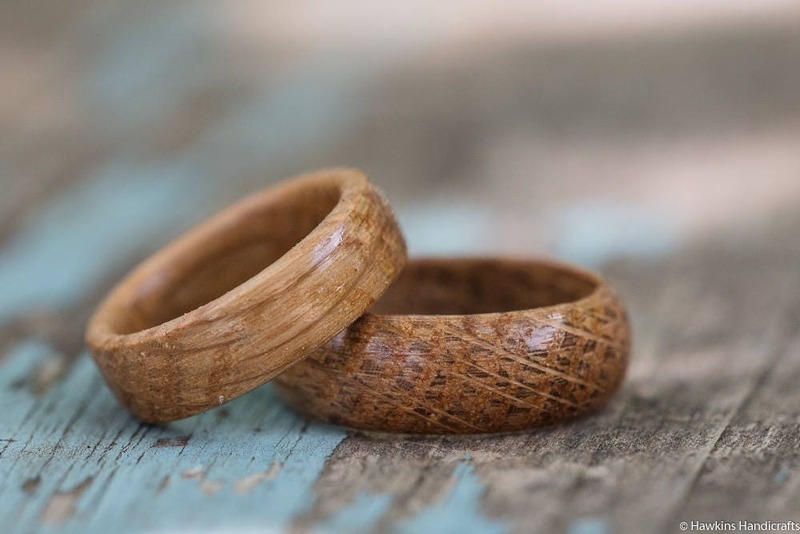 Your ring will have a similar look to those in the pictures - natural oak wood - but each ring is a unique piece of wood with it's own unique patterning with no two exactly alike! 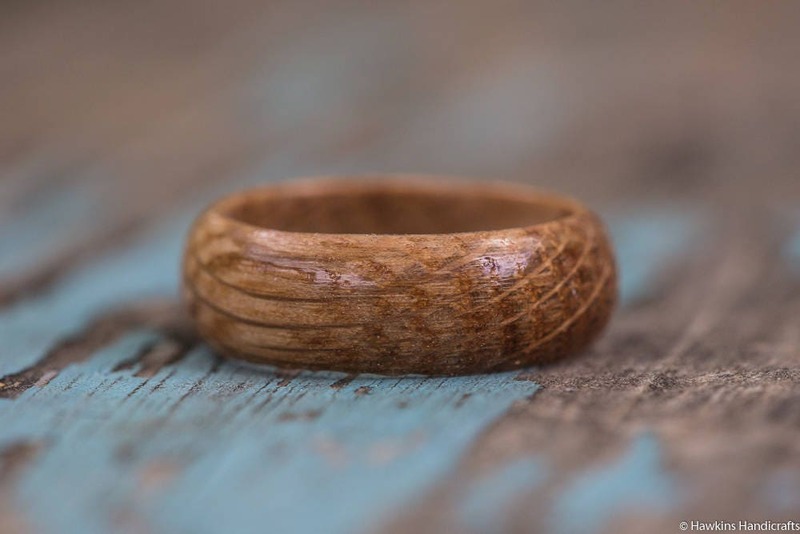 After a Jim Beam barrel is no longer of use to the distillery, it is sold to a number of craftsmen who make everything from planters to knife handles from the wood - or, in this case, a solid wood rings. 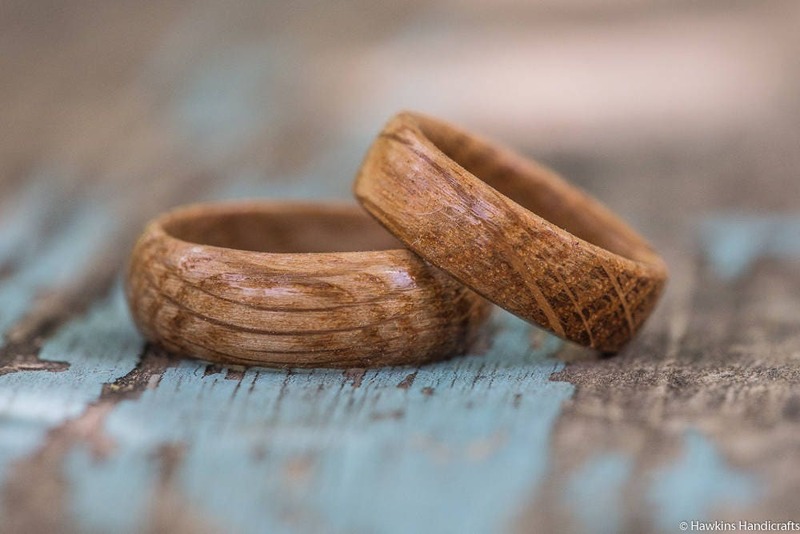 I purchase the barrels and have them shipped to my doorstep, where I dismantle them into individual staves to be cut into rings. 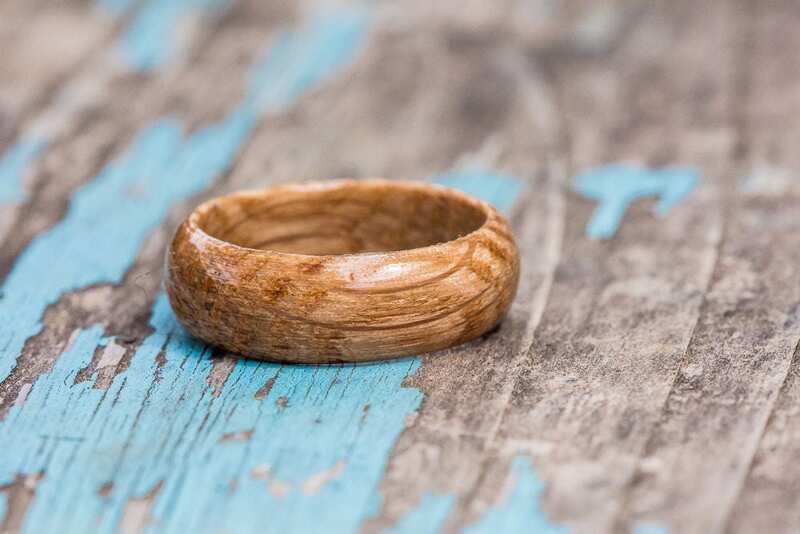 It’s a great ring. I unfortunately ordered the wrong size. Hoping to exchange for a new one so my husband can actually wear it! product is good value for price and working with the owner wss exceptional. its the way all business should be done. first place i go for next purchase is Hawkins Handicrafts.